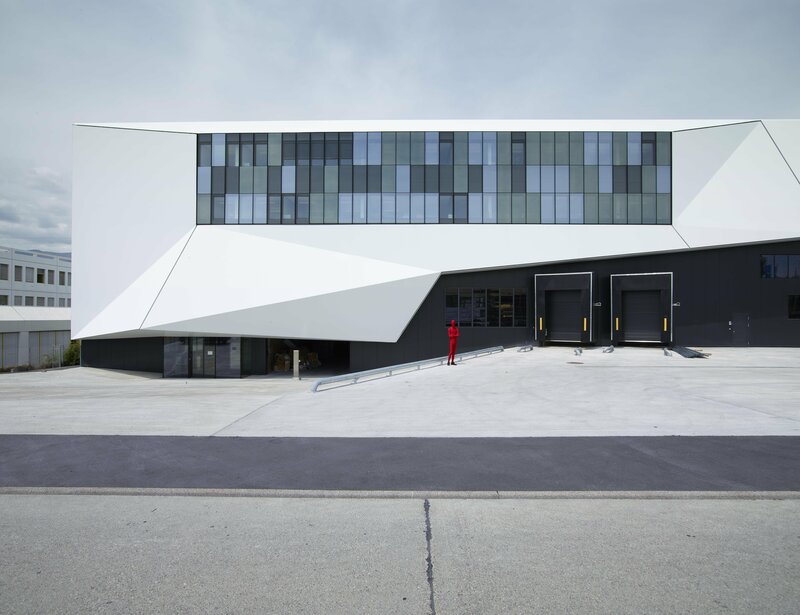 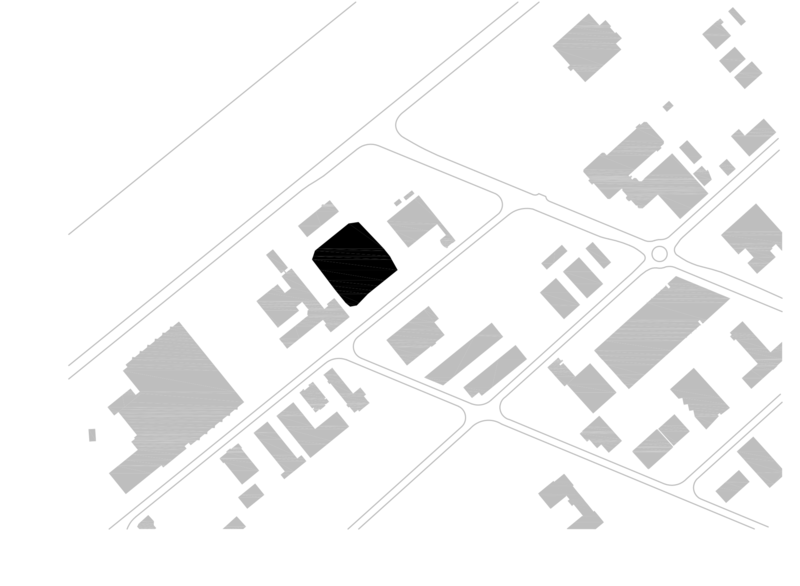 Bordering on the Meyrin-Satigny industrial and craft zone, the ICRC logistics hall has a strange, fascinating shape. 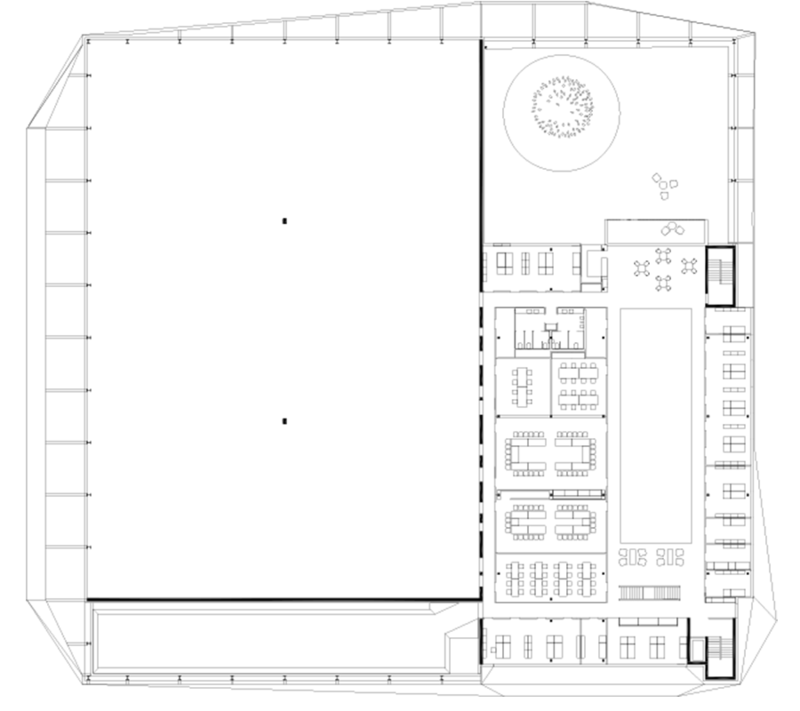 Its original design stems from the metaphorical reinterpretation of a survival tent that is often associated with media images concerning actions of international organisations. 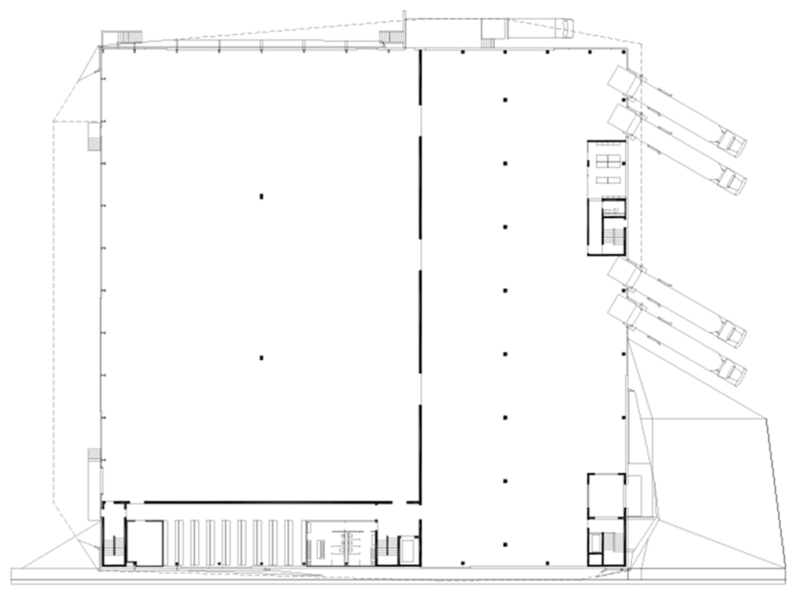 Whilst the external envelope forms a single unit, the building’s internal functions are clearly separated into two separate parts: firstly, a large secure warehouse for the delivery and storage of mutual aid equipment and, secondly, a part dedicated to the administrative management of humanitarian aid. 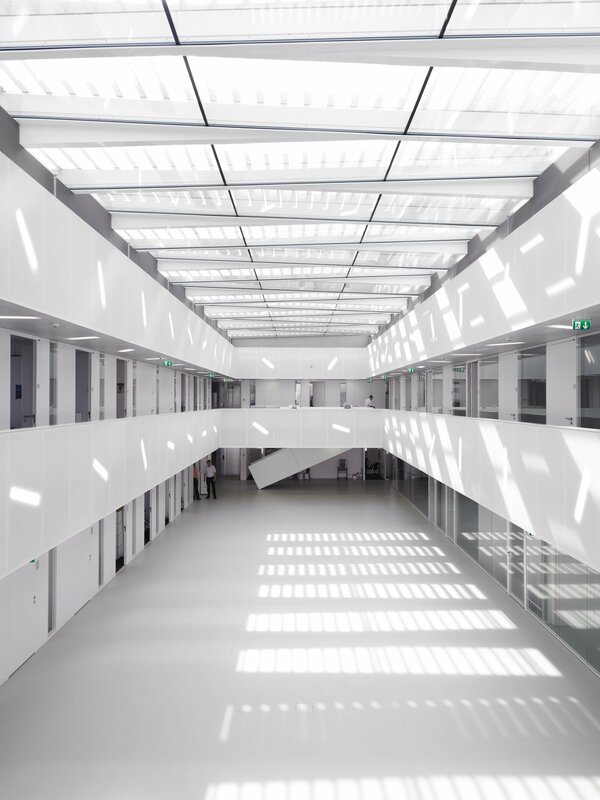 The area dedicated to the latter activity features, in its centre, an atrium on which light is shed through a large skylight and an open air patio used as a terrace for relaxing. 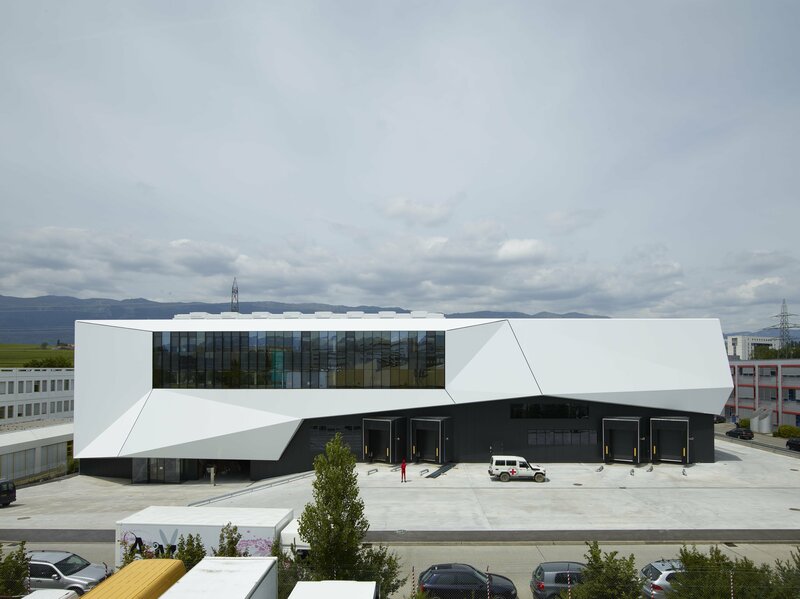 The solution found for the construction of this façade separate from the useful volume is the installation of a tubular steel structure that becomes the support for a white composite membrane stretched over the metal bars. 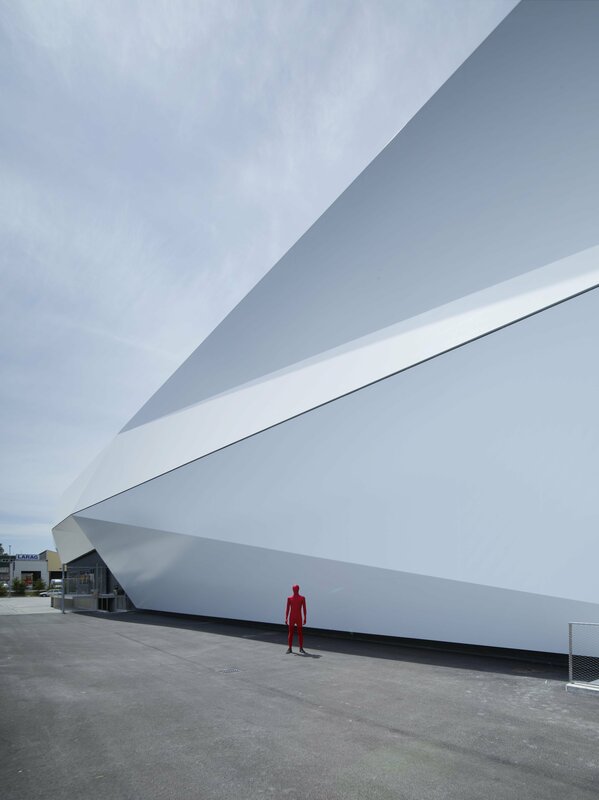 As a result of this rather simple, but very effective use of an external skin, consisting of a number of triangles, the façade appears to vibrate according to the orientation of the sun, offering a variety of shades of white. 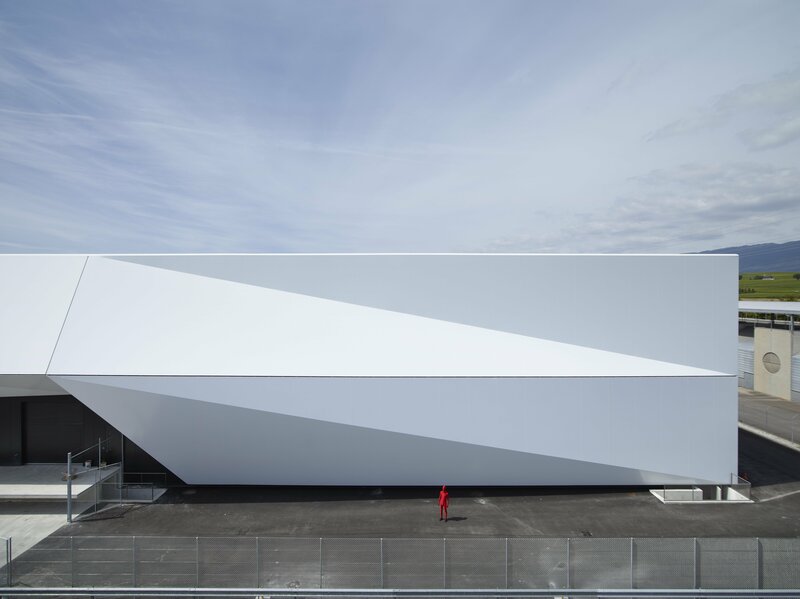 The openings inside this very expressive envelope, that is to say the large windows and doors necessary for its function, have an orthogonal geometric shape.